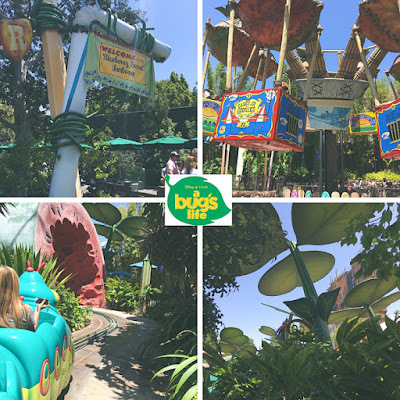 This summer of 2018 is your final chance to have fun at Flik's Fun Fair in a Bug's Land located in Disney California Adventure Park. Sadly after summer season ends, a Bug's Land will be closed forever and redesigned into a new different land that is said to be Marvel themed. But don't worry there is still plenty of time to enjoy a Bug's Land. 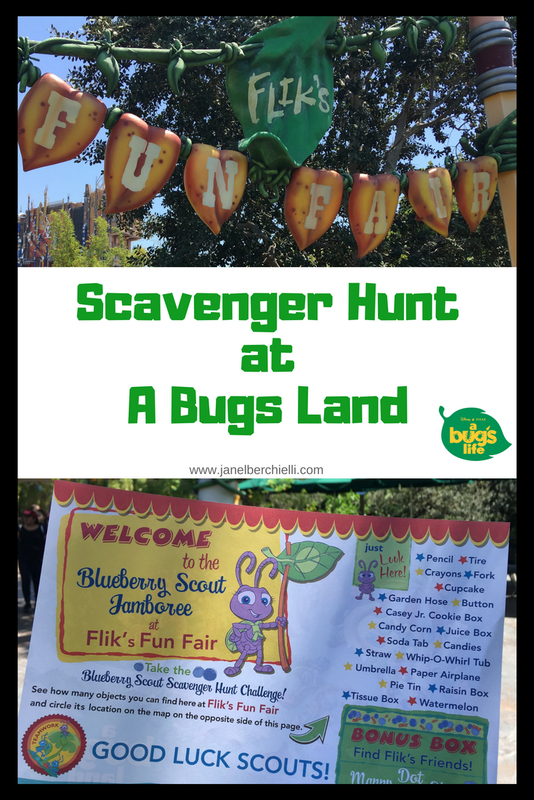 Besides all the fun rides and splash pad area in a Bug's Land, you can participate in the Blueberry Scout Scavenger Hunt Challenge. Just past the entrance to Bugs Land a Cast Member is there to great you with your scavenger hunt map and a fun Bugs paper hat. 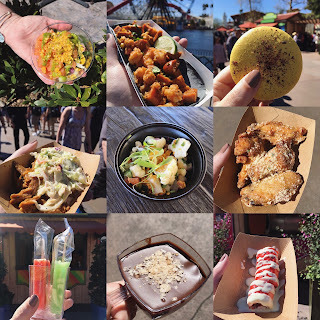 The best part is this is free to participate (with park admission of course). How Many Objects can you find at Flik's Fun Fair in a Bug's Land? 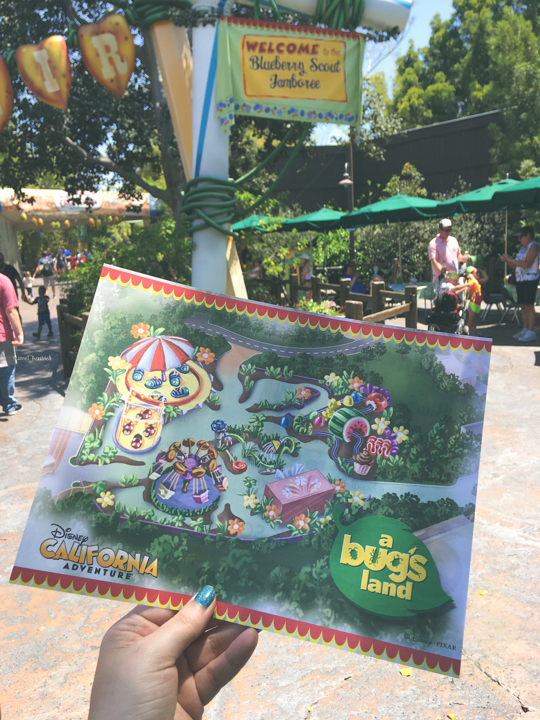 If the kids need to take a break from hunting there are tables in the shade with coloring activities and you can even get your face painted. 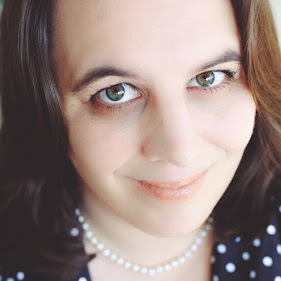 If you don't have any kids, don't worry you can still participate. This Scavenger Hunt activity is fun for everyone! 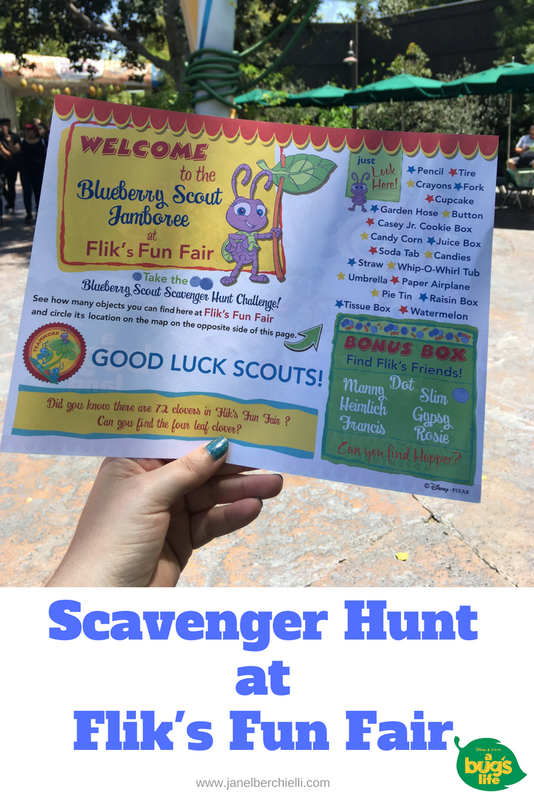 Once you complete the Scavenger hunt you will be an Official Blueberry Scout! 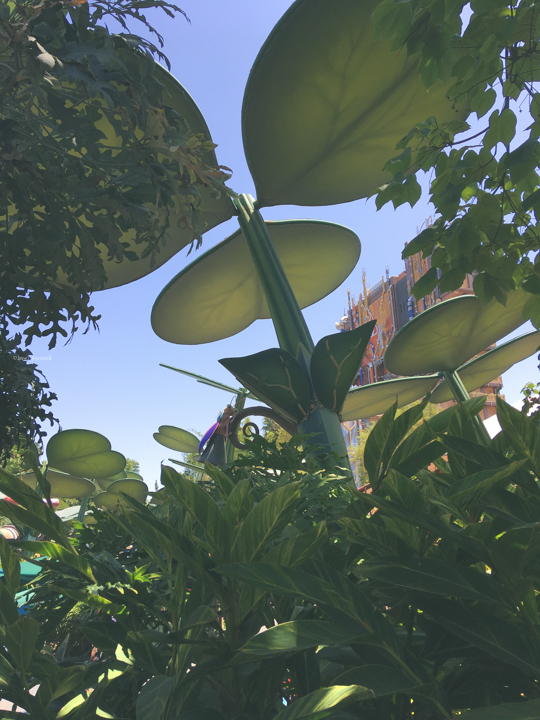 Did you know there are 72 clovers in Flik's Fun Fair? 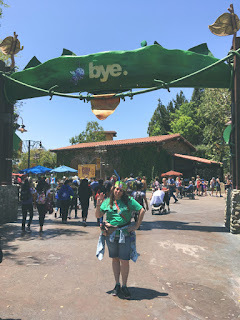 While many of us will be sad to see Flik's Fun Fair and the a Bug's Land area be gone forever, this Scavenger Hunt is a great way to make memories that will last a life time!